An open floor-plan in the newly designed dining room and kitchen would allow for a wide variety of design options and help bring the spaces together. Goodroe describes the overall aesthetic of this home as contemporary with just a touch of French country flare. 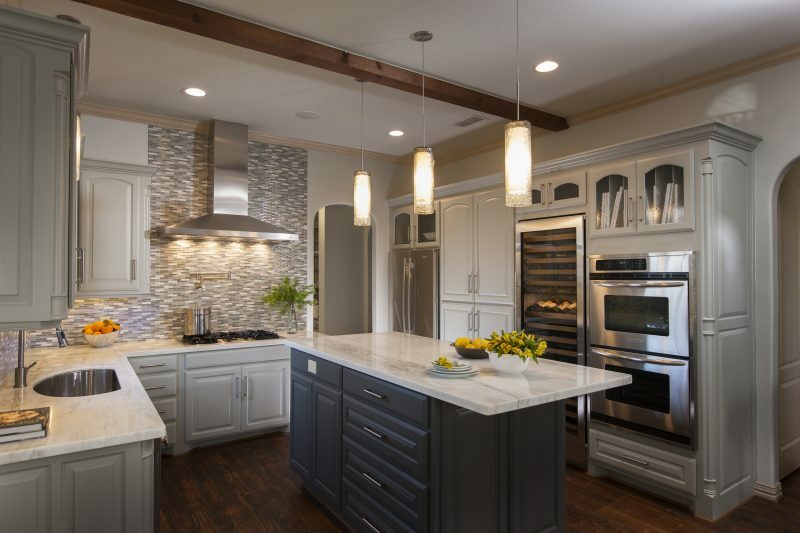 “Blending clean contemporary style with French country elements was a balancing act, but this project checks all of the homeowner’s boxes,” Goodroe said. The homeowner wanted a contemporary feel, but not ultramodern. Along with the clean, fresh look and feel of contemporary, the homeowner also desired the warm, earthy colors indicative of French country design style. 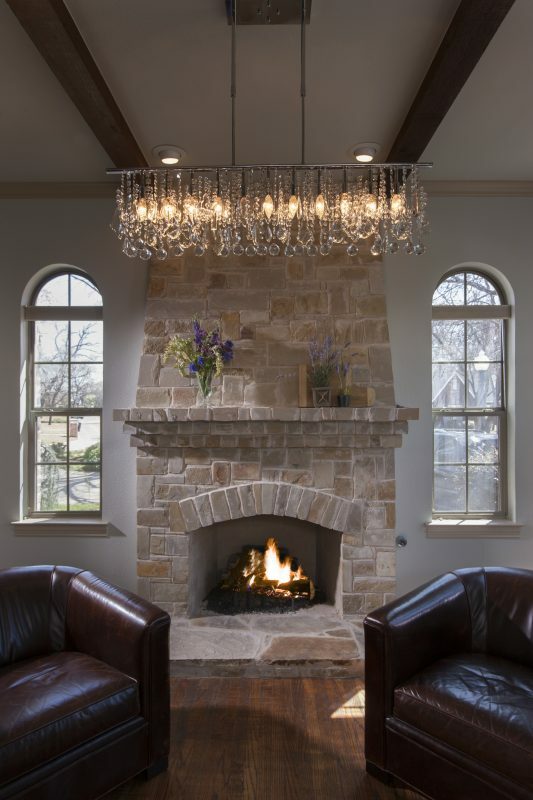 The stone fireplace in the dining room speaks French, and, in stark contrast, the light fixture in the area is contemporary, chosen to reflect the natural daylight. What makes this project striking is the open room and window placement. The natural light beams into the kitchen from all directions during the day, and in the evening, the pendants and cabinet lighting work with the dining chandelier and the glow of the fireplace to create a very warm, intimate space. Hardwood floors, scraped and distressed to match the wood beams in the ceiling, bring an additional French country feel to the overall unique project.